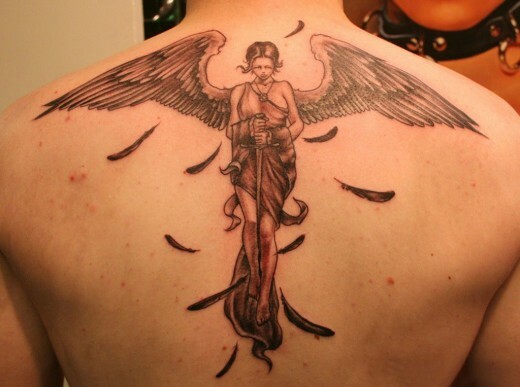 Angel tattoos are becoming more and more popular nowadays, especially among the youth of the new generation. 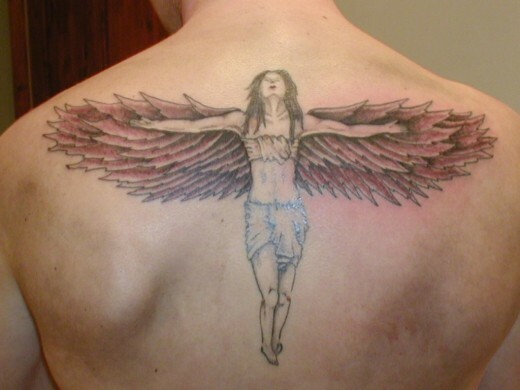 Men and women are fascinated with angel tattoos because of its special meaning and representation. 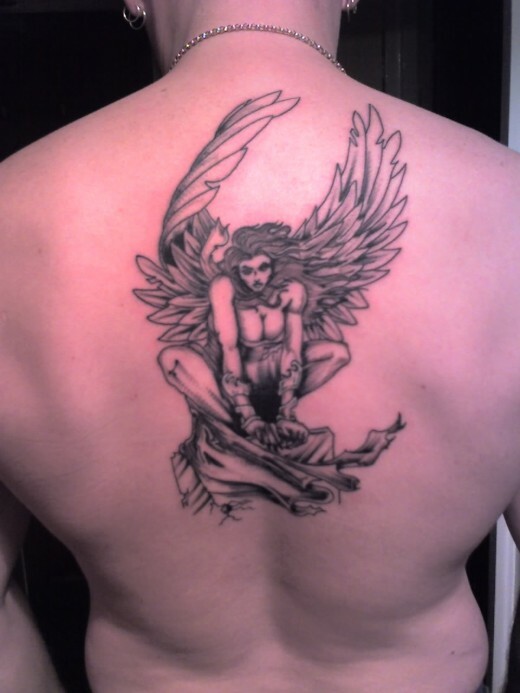 Angels are symbolic creatures of religion and spirituality. 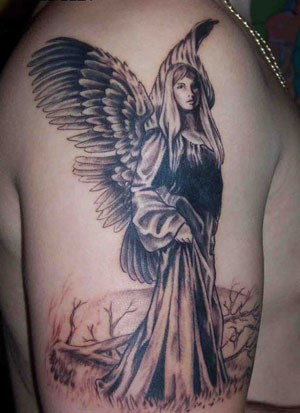 Angel tattoo designs can be created in different forms according to the person’s own preference and style. 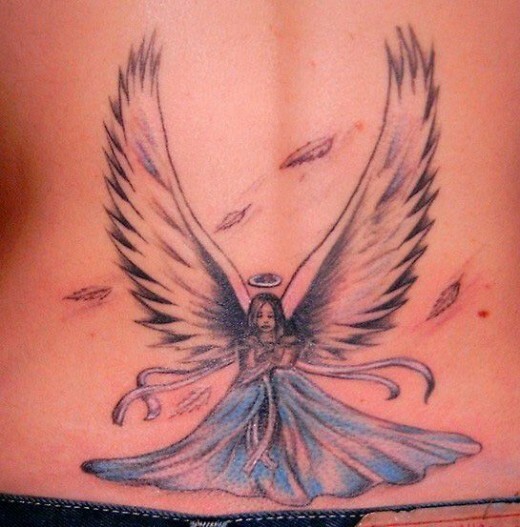 Certain individuals would like to have angel wings tattooed between the blades of their shoulders to create an illusion that the person wearing it is naturally born with angel wings. 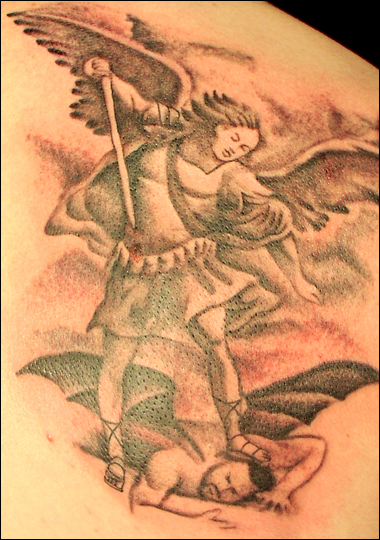 Another type of design are the guardian angel tattoos which brings comfort and serenity to the person wearing it. 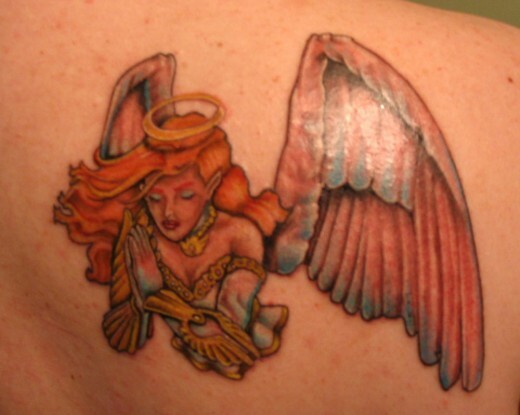 Cherubs design, on the other hand, represents innocence and love. 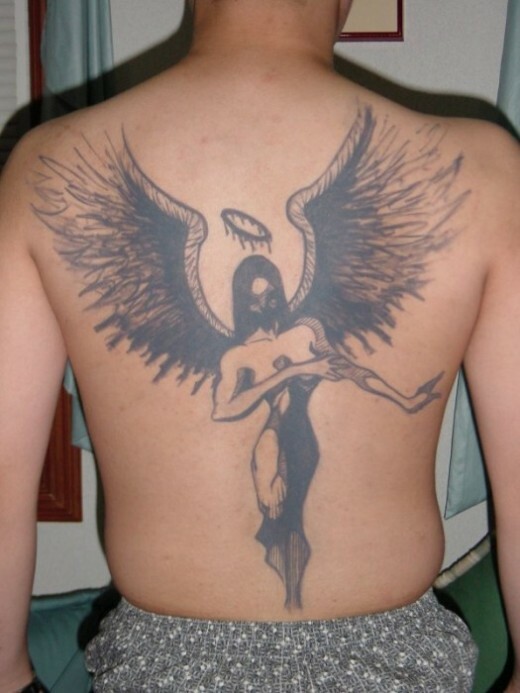 Most people associate this kind of angel tattoo design with Cupid, an angel who brings lovers together by shooting an arrow through their heart.